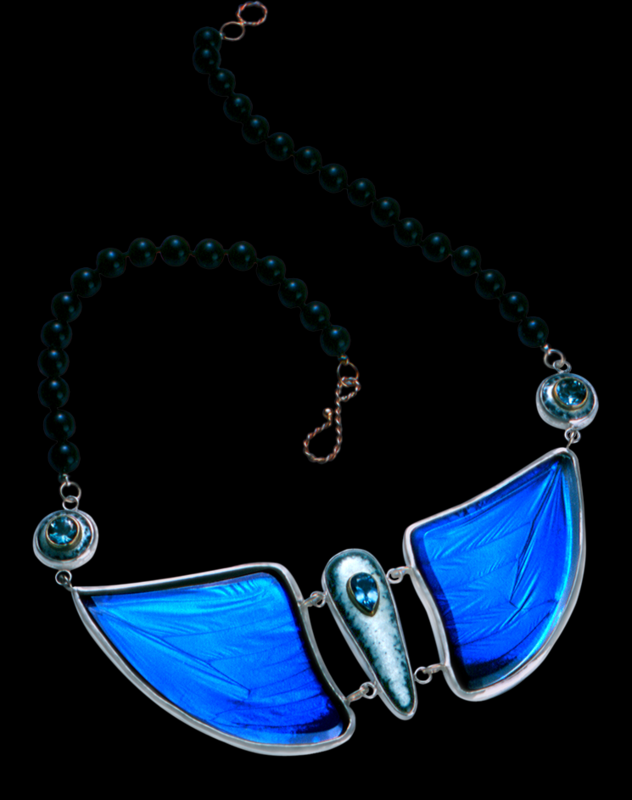 Genuine Morpho butterfly wings set under clear beveled glass join an enameled body with 14kt gold links. Vitreous glass enameled elements hold Blue Topaz stones set in 22kt yellow gold. Necklace is strung with Black Onyx and catch is made with 14kt rose and white gold. Body of necklace is sterling silver.